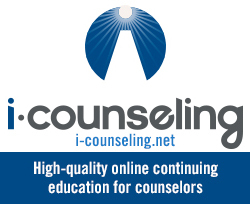 A gap exists in the counseling profession between research and practice. Community-based participatory research (CBPR) is one approach that could reduce this gap. The CBPR framework can serve as an additional tool for translating research findings into practical interventions for communities and counseling practitioners. Stronger community partnerships between researchers and practitioners will further improve treatment for our clients. The purpose of this study was to develop competencies that would provide the foundations for a training guideline in CBPR. Using the Delphi method, an expert panel achieved consensus on 153 competencies (knowledge, skills, attitudes, activities). Competencies are significant for the profession because they establish best practice, guidelines of service, and professional training. This phenomenological study explored the experiences of 15 professional counselors who work with clients living in impoverished communities in rural America. Researchers used individual semi-structured interviews to gather data and identified four themes that represented the counselors’ experiences using the Multicultural and Social Justice Counseling Competencies as the conceptual framework to identify the incorporation of social justice and advocacy-oriented counseling practices. The themes representing the counselors’ experiences were: (1) appreciating clients’ worldviews and life experiences, (2) counseling relationships influencing service delivery, (3) engaging in individual and systems advocacy, and (4) utilizing professional support. The counselors’ experiences convey the need to alter traditional counseling session delivery formats, practices, and roles to account for clients’ life experiences and contextual factors that influence mental health care in rural, impoverished communities. Approaches that counselors use to engage in social justice advocacy with and on behalf of rural, impoverished clients are discussed. This article proposes a model for an intervention designed to mitigate cultural trauma in African American children and adolescents using trauma-focused cognitive behavioral therapy (TF-CBT), an evidence-based practice for treating post-traumatic stress in children and adolescents. There is a paucity of approaches to treat cultural trauma in African American youth and the negative effects cultural trauma can have on academic performance and social interactions. This proposed intervention includes a mentoring program focused on the use of TF-CBT to help African American children and adolescents and their families in constructing positive self-images that support resilience and empowerment. About one in four women will experience miscarriage of pregnancy, which can be the impetus for significant and persistent psychological distress. Because of cultural norms of silence and minimization around pregnancy loss, as well as a notable lack of scholarship on the topic, counselors may neglect this area in their clinical work. This article describes the relevance of Bronfenbrenner’s ecological systems theory for counselors seeking to account for the numerous variables that may be at play when working with clients who have lost a pregnancy. Using a detailed case example to demonstrate ecologically informed case conceptualization, the authors draw upon practically applicable clinical literature to highlight the possible developmental, relational, cultural, political, and economic impacts of miscarriage. In this phenomenological study, the authors explored the lived experiences of 19 African American mothers raising boys and young men to understand how media exposure to community and state violence connects to the physical and mental health of these mothers. Analysis of semi-structured individual interviews revealed six themes: psychological distress, physical manifestations of stress, parenting behaviors, empathic isolation, coping strategies, and strengths. The analysis of the data revealed that these themes were connected such that community and state violence were forces weighing on these mothers, resulting in emotional responses, changes to parenting approaches, physical responses, and empathic isolation, while the mothers’ coping strategies and strengths served as forces to uplift. The authors present the lived experiences of the participants through a discussion of these themes and their implications for counseling African American mothers within the current social–political context. 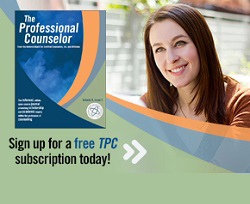 This interview is the third in the Lifetime Achievement in Counseling Series at TPC that presents an annual interview with a seminal figure who has attained outstanding achievement in counseling over a career. Many people are deserving of this recognition, but I am happy that Josh Smith and Dr. Neal Gray have interviewed a visionary in the counseling profession. I first became aware of Dr. Capuzzi over 30 years ago when I was reading his vast research and scholarship as I prepared to teach my first classes as a counselor educator. Over the years, I have been amazed at Dr. Capuzzi’s contribution to the profession and his impact on countless educators, clinicians, and supervisors. I appreciate Josh Smith and Neal Gray for accepting my editorial assignment to interview Dr. Capuzzi. What follows are thought-provoking reflections from a counseling icon and leader. The primary aim of this study was to cross-validate the Revised Fit, Stigma, & Value (FSV) Scale, a questionnaire for measuring barriers to counseling, using a stratified random sample of adults in the United States. Researchers also investigated the percentage of adults living in the United States that had previously attended counseling and examined demographic differences in participants’ sensitivity to barriers to counseling. The results of a confirmatory factor analysis supported the factorial validity of the three-dimensional FSV model. Results also revealed that close to one-third of adults in the United States have attended counseling, with women attending counseling at higher rates (35%) than men (28%). 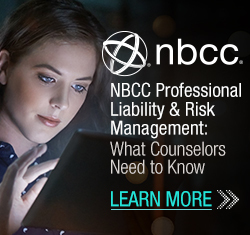 Implications for practice, including how professional counselors, counseling agencies, and counseling professional organizations can use the FSV Scale to appraise and reduce barriers to counseling among prospective clients are discussed. Exploring client outcomes is a primary goal for counselors; however, gaps in empirical research exist related to the relationship between client outcomes, the working alliance, and counselor characteristics. Thus, the purpose of this investigation was to explore the relationship between the effects of multicultural competence and the working alliance on client outcomes from both client (n = 119) and counselor-in-training (n = 72) perspectives, while controlling for social desirability. Hierarchical regression results indicated counselors-in-training’s perceptions of multicultural competence and client outcome pretest scores were a significant predictor of client outcomes, after controlling for social desirability. Linear mixed effects modeling indicated significant differences in perceptions between both clients and counselors on the working alliance and multicultural competence. Findings highlight the importance of exploring what has already been working for clients before coming to counseling. Additionally, counselors are encouraged to self-reflect and explore how their clients view the relationship between the working alliance and multicultural competence.